The scene of a crash on I-80 that shut down the eastbound lanes and caused traffic to back up in Berkeley. A crash early Thursday forced the California Highway Patrol to issue a Sig-alert and shut down all eastbound lanes of Interstate 80 for over an hour. 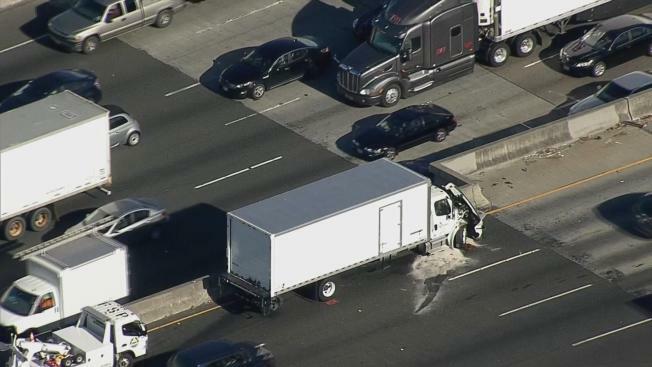 The collision occurred east of Gilman Street in Berkeley just before 7 a.m. and traffic was diverted to Interstate 580. Two lanes were reopened just after 8 a.m.